In 2013, Mayor Mennino declared it the “Year of the Woman” and brought together a group of leaders to find a way to better advance women in the workforce. That team, now known as the Boston Women’s Workforce Council, concluded that closing the wage gap would not only have the most widespread impact on women in Boston, but also help to decrease the city’s poverty rate, bolster the local economy, and position Boston as a national leader in the workforce. Leveraging these drivers, the Council created the 100% Talent Compact to engage Boston’s local businesses in the campaign to reduce the gender-based wage gap. 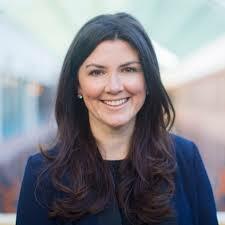 Katie Burke is the Chief People Officer at HubSpot, where she oversees HubSpot’s global employment brand to attract top-level talent as the company continues to grow and enter new markets. She creates and delivers the optimal candidate and employee experience for HubSpot’s offices around the world. Katie manages the team responsible for HubSpot’s award-winning culture and commitment to transparency and autonomy. During her time at HubSpot, the company has received culture commendations from Entrepreneur, Fortune, The Boston Globe, Glassdoor, and The Boston Business Journal. Katie’s emphasis on a culture of inclusion, diversity, and support has also placed HubSpot on Fortune.com’s “100 Best Workplaces for Women” list. Prior to HubSpot, Katie was the Director of Marketing and Corporate Partnerships at Athletes’ Performance and Core Performance. During her tenure, the company was named one of Fast Company’s Most Innovative Companies and was featured on CNN Money, Yahoo!, ESPN, The New York Times, and more. Katie also served as a Brand Manager at EXOS. She attended Bates College and holds an MBA from MIT Sloan School of Management. Katie is an advisor at Flybridge Capital and was on the part of the inaugural Rev Boston Class of Top Women in Boston Tech. Beth also held positions at Massachusetts Legal Assistance Corporation, the largest funding source for civil legal aid programs in the Commonwealth and Neighborworks America, one of the country’s preeminent leaders in affordable housing and community development. Beth also worked as a corporate banking associate with Bank of America in corporate banking and began her career as a research and evaluation analyst with the Urban Institute. Currently, Beth serves on the MA Conference United Church of Christ Board of Directors and the Leadership Circle of Hope Central Church. A former professional basketball player, Beth received her undergraduate degree from Harvard University and an MBA from Columbia Business School. Elizabeth L. Hailer has been the Executive Director at The Commonwealth Institute since January 2017. Elizabeth has more than 30 years of deep hands-on experience in the professional services arena with specific expertise and success in marketing strategy and planning, marketplace positioning, business development programs and management, lead generation, and brand development and management. Her enviable track record of success includes developing and leading international (Big 8, Big 4), as well as regionally recognized firms. She is a well-known and highly regarded brand builder who works collegially and effectively with firms and organizations, to adopt creative new strategies to advance and achieve measurable business objectives. Elizabeth most recently led Hailer Marketing Associates, focused on helping organizations take control of their marketing and business development by driving effective and measurable go-to-market plans and programs, developing brand positioning strategies, building marketing/client development plans for executives and staff, and creating results-driven programs and metrics. Elizabeth is well positioned and recognized in major business organizations throughout greater Boston. 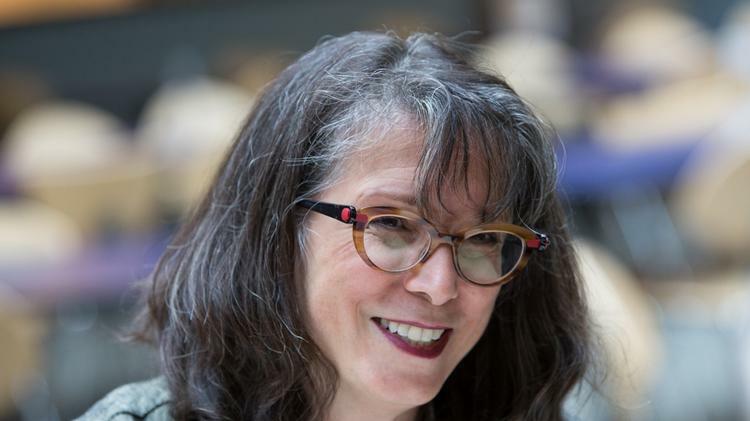 Her involvements include: Women’s Executive Forum ACG; The Boston Club; The Women of the Harvard Club; The Commonwealth Institute; ProVisors; and New England Law Firm Marketing Association. She has presented to a variety of groups including Baker Tilly International, M&A International Global Conference, Massachusetts Society of CPAs, and Women’s Bar Association-Boston. Her case study, Combine SEO and Social Media to Generate Web Leads; 5 steps, was among Marketing Sherpa’s Top 5 Lead Generation Case Studies for 2010-2011. We are very grateful to all of our council members for their continued dedication to this mission. You can view the full list of council members here. For questions, please contact us at team@bostonwomensworkforcecouncil.org.